That video also has “smart signals” that use heat sensors to recognize bikes. So this isn’t about Europe and it’s not about pampering. It’s just about bikes, elsewhere. I was in Osaka where there’s lots of bikes around. In the district where I’m staying (Senri-chuo) sidewalks are pretty much where most bikers ride (though you’re not supposed to). They share with peds and the occasional motorbike. This is because streets are narrow and there’s no room for bikes unless you take the lane; there are too many bikes for that to make sense. On the other hand the sidewalks are wide (by our standards). I somehow hadn’t really noticed on previous trips but they’re basically no on-street parking. So no parking lanes, and no room to “share” the road. There are (narrow) marked bike lanes occasionally. Many bikes are electric. It’s just part of the kit. I saw a bike stand with charging setup: drop coins into the meter and plug in your bike. Unpowered bikes are pretty much for young people. Many bikes are just used for for transportation, so lots of cargo capacity on a small frame. Helmets are rare. Bike security is very light-weight. I saw maybe one U-lock. Mostly it’s cables, or just nothing. People apparently don’t steal bikes much around here. I guess if you have a prosperous country with a low GINI coefficient that’s what you get. 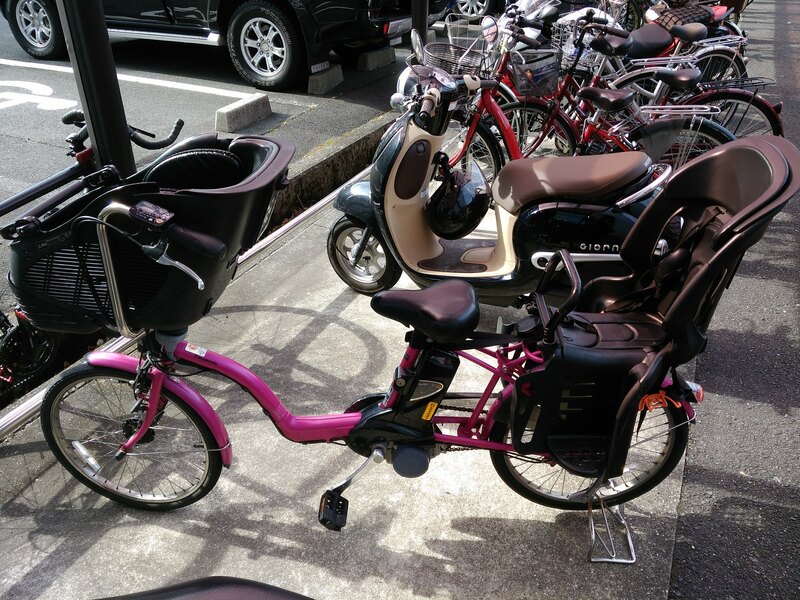 Here’s a city bike set up in a 2-kid configuration. There’s a variety of other configurations built on the same kind of frame. Note the motor encasing the bottom bracket. Different bike brands… read the fine print. 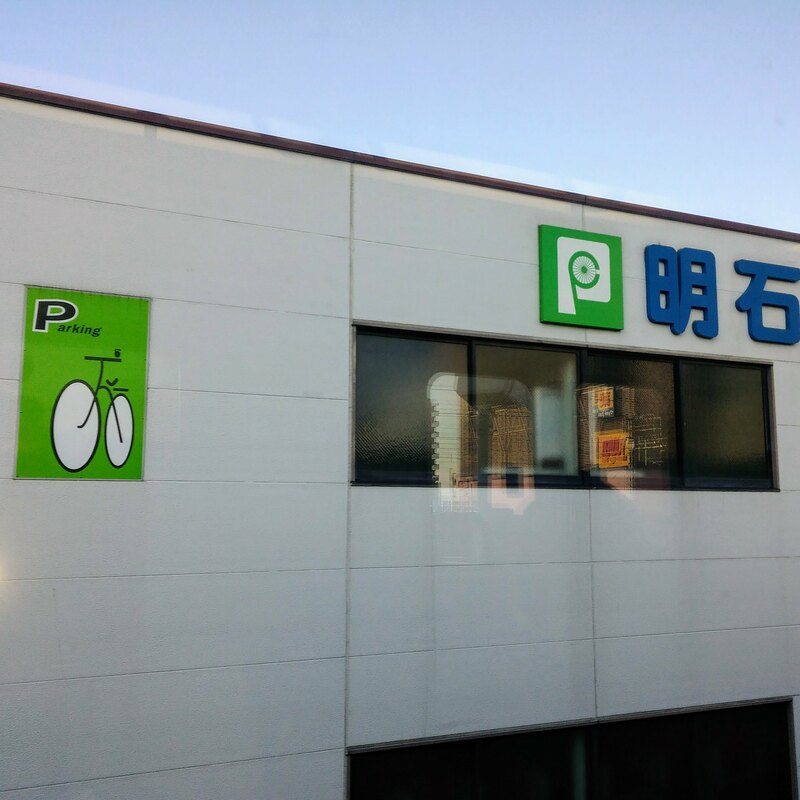 This appears to be a bike park (photo taken while on a train in a station). I expect it’s the same idea as car parks (really tall monoliths, where cars are elevated and pigeon holed). Ground space is at a premium. A roundabout where cars have to stop for bikes and pedestrians. Click through to the original tweet for more info. Comments are helpful, but in many languages. I thought you might find this page from the municipality of Amsterdam interesting. I has all the ongoing or finished cycling experiments on it. Most are to improve the flow and safety for cyclists, pedestrains and other traffic. Yes, traffic jams on the bike paths are real. Welcome! You’ve come to the right place! You may also be interested in bikingpgh.com for some summary of our knowledge. Once the weather warms up, there will be rides you can join, like the Flock Rides. And there are more ambitious rides organized by Western Pennsylvania Wheelmen. I will be checking out both pages! This one’s in Japan, not Europe, but, wow. Of course, in the Netherlands, pavement markings to calm traffic. It went from nothing to steep speed bumps first. But they found that these speed bumps led to more dangerous situations instead of avoiding them. Speeding drivers that paid little attention would be more likely to lose control of the car and swerve into incoming traffic, bus stop, parked cars or the bike lane. The next version is the one you see in these pictures. The bump is not steep, but enough to make the markings visible from a reasonable distance. The change in pavement and having a pedestrian crossing on top of it helps slowing it down more creating a safer street for everybody. 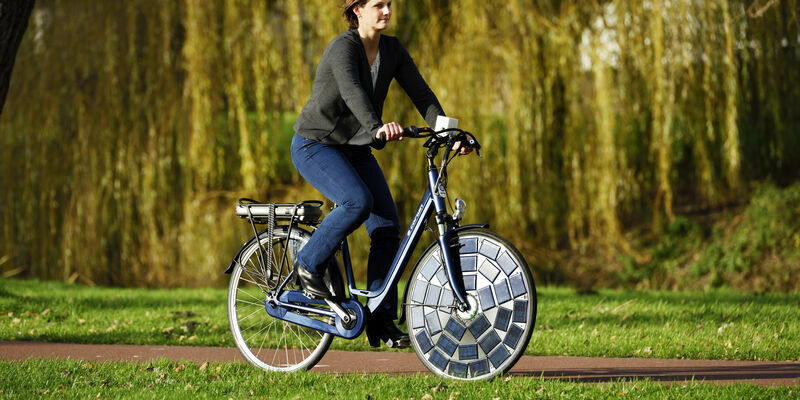 This is how the Dutch celebrate new 21st century infrastructure! The Netherlands has installed over ~60 miles of bike highways throughout the country. Until very recently there have been no clear social cost-benefit analysis of this. A bike highway is a wider, bicycle only road without traffic lights and smoother surface. The data in the article is based on the 14.4KM bike highway called Trambaanpad, which is from a normal bike lane into a bike highway. This is in a non urban area with little congestion. The benefits and costs are calculated from the perspective of recreational, commuter cyclists and modal shift. Do people ride more because of the bike highway? Do people go to the park/woods less because of the bike high ways? Do people get more healthy, fit and faster over time? To conclude there is (even in The Netherlands) very little research and data on this topic. This is a start and more research is needed. Especially in urban areas where the bike highway can compete with all other modes of travel and come out faster and/or cheaper. In London, pampered cyclists get poor planning, heavy car traffic, dangerous lorries, regional feuds, and occasional good planning. Sound familiar? This reminds me of a story in Forester’s “Effective Cycling,” where he talks about a visit to Britain. He talks with a cycling club and tells them how bad bike lanes are. They assure him that they agree and that they will never allow such a horrible thing to happen there. I wonder if his advocacy worked as well there as it did here. In Edinburgh, staying on The Meadows. Covered bike parking as well as reserved areas for bikes right next to a trail. Intersection where bikes have constant green, turning red when a car appears. Luxembourg is 999 square miles. Allegheny County is 745 square miles. Note, however, this tweet by the author of the above article: Free public transport tends to reduce cycling, not motoring. This happened to Davis, California, in 1980s despite the city having tight grid of cycleways. Groningen, NL: Four-way green lights for bikes. 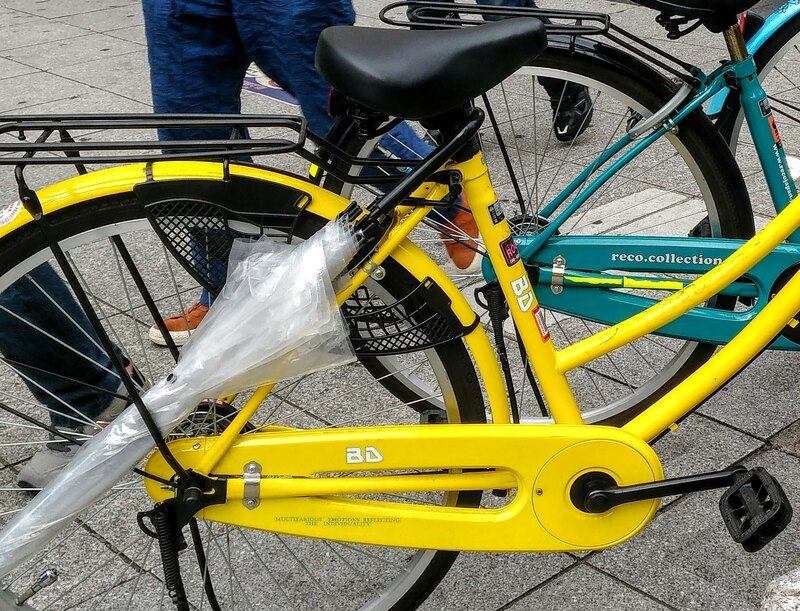 #ICBF2019 host #Groningen was the first Dutch city to implement simultaneous green lights for bikes.